There's something delightfully simple and delicious about a good slice of corn bread. From chili to fried chicken to salads, there are a ton of different ways that you can enjoy corn bread. Barbeques won't be the same after you share any one of these amazing recipes. 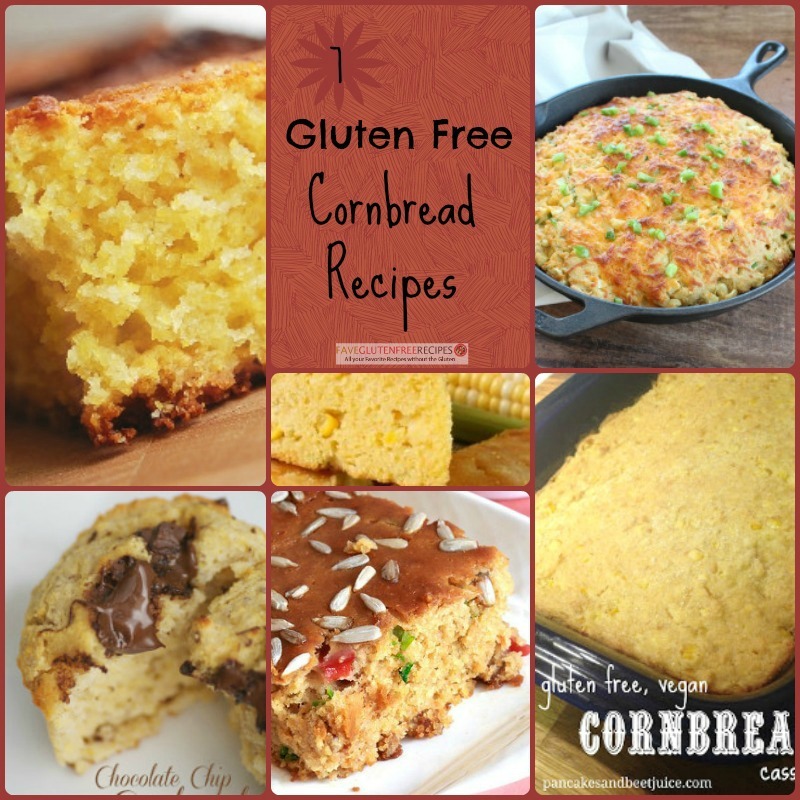 These amazing gluten free recipes for corn bread are sure to satisfy anyone and everyone you share them with. There is a recipe for any mood you're into: there's cheesy and chocolaty. You don't have to choose when you can enjoy this awesome gluten free bread; there is a recipe here for any time of the day. Gluten-Free Vegan Cornbread Casserole - Make this awesome dish the next time you are going to have guests over and watch your friends and family fall over each other to get a second helping. Pair with some of your favorite barbecue entrees or some delicious vegan chili. You really can't go wrong no how you serve this amazing casserole, and you won't believe have fast it disappears. Cornbread Lunch - It's time to take the classic cornbread to another level! Pack in some ground beef, cheese, and other awesome ingredients into this cornbread casserole, and you have a filling and delicious meal that will last you more than one day (depending on who you share it with, of course). Vegan Yankee-Style Creamed Corn Cornbread - While cornbread is a traditionally Southern recipe, this Northern take on the side dish is delicious and unique. It's sweet and savory together and will really complement any barbeque recipes you serve it with. Sunflower Cornbread - This recipe for Sunflower Cornbread is sure to quickly become a favorite. If you've never made your own cornbread before, make some as soon as possible. Homemade cornbread has a full flavor and a hearty texture that a mix just can't beat. Secret Ingredient Cheesy Cornbread - This recipe is going to knock your socks off with its amazing flavor. Not only is it super tasty, it is quick and easy to whip together. If you're making chili or soup, you need this recipe; it's the perfect pairing for a lot of Southern dishes. Easy Gluten-Free Cornbread - This is one recipe that will definitely find yourself making again and again. Eat by itself, or whip up this homemade cornbread for when you're making chili. There's so many different ways you can use this recipe. By far one of the best cornbread recipes you will come across, your family will beg you to make this again and again. Chocolate Chip Cornbread - Sweet yet savory, this amazing recipe shakes up a classic favorite. You will love how the chocolate chips really transform the cornbread into something even more spectacular than it usually is. Make this sweet cornbread for company and really wow them with this original recipe. Want even more gluten-free bread recipes? Check out our Ultimate Guide! This would be a great side dish for Taco Tuesday!